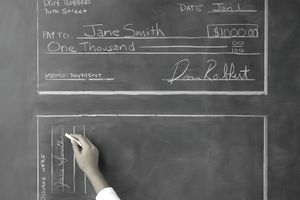 What Are the Different Types of Checking Accounts? How can you maximize your satisfaction while minimizing fees at the bank? Choose the right type of checking account, and you’ll improve your chances. There are several account options available, and it’s important to know how they work. Use that knowledge, along with an understanding of your banking needs, and you’ll make a good choice when shopping for an account. The most basic type of checking account is the “plain vanilla” account. It’s what you’ll get from most banks and credit unions if you don’t do any shopping. The account may be exactly what you need, but you’re likely to find that carries additional fees and lacks options. Basic checking accounts allow you to write checks, use a debit card, and view your account online. However, these types of checking accounts generally come with fees. For example, if your balance is too low, you pay a fee. Qualifying for fee waivers is sometimes easy (if you sign up for direct deposit with your employer, you can probably avoid fees), but sometimes you don’t want to make a large commitment to a bank that you’re not familiar with. Before you open a “basic” checking account, find out what you’ll have to pay and what you get in return. Free checking is not dead. Banks and credit unions still offer free checking accounts as a way to drum up business. Unfortunately, it’s getting harder to find these accounts. If a fee-free account is the most important thing to you, look at small banks and credit unions as well as online banks. In many cases, free accounts have all the bells and whistles of more expensive types of checking accounts. Don’t assume that you always get what you pay for. As always, compare the features among competing banks, and pick the one that offers what you need. If you just need a place to get your paycheck deposited and use online bill pay, you can get it for free. Online only accounts are available (not surprisingly) at online banks. But brick-and-mortar banks also offer online-only accounts. These accounts require that you are comfortable handling your finances over the internet and the phone. You’ll need to be adept at filling out filling out forms online, and checking everything for accuracy (it’s easy to transfer money to the wrong account and overdraw your account). How do you add or withdraw money to an online-only checking account? If you need to make deposits, you can set up direct deposit with your employer, and you can also mail checks to your online bank. Some banks even allow you to deposit checks by taking a photo with your mobile device or computer. If you use a brick-and-mortar bank, you may have additional options (like ATM deposits), but you’ll probably have to pay a fee if you use a teller. Finally, you can transfer money to and from other bank accounts using a wire transfer, or by setting up a link between bank accounts. Spending or withdrawing money is also easy. Use the bank’s online bill payment system to pay bills or write yourself a check. If you need cash quickly, most banks provide a debit or ATM card that you can use at any ATM. You might also be able to use your card for purchases at retail stores and restaurants. In recent years, a new type of checking account has emerged that pays interest on your cash. These accounts are referred to as interest checking, high yield checking, or similar. They’re most often found at online banks, but a few brick-and-mortar institutions offer them as well. These accounts typically don’t pay much, but anything is better than nothing -- and most checking accounts pay nothing at all. As you shop for these accounts, be sure to take note of any restrictions (such as how often you’re allowed to write checks, and dollar amount requirements for any checks you write). If you like the idea of earning interest and writing checks, take a look at money market accounts. Those accounts are not checking accounts, but they allow limited check writing and may even come with a debit card. They're best for large, infrequent expenses or emergency savings. Reward checking accounts pay even more for your cash than interest checking accounts. So, why not go for more and use a reward checking account? Unfortunately, you have to “qualify” for the higher rate paid in reward accounts, and it may be difficult to do so. To qualify, you generally have to jump through some hoops. Also, reward checking accounts usually limit how much you can have in your account (although that number is often much than most people keep in checking). To find out how they work, read more about reward checking accounts.